Mapping House Numbers with Keypad Mapper 3 | A covey of Covis! 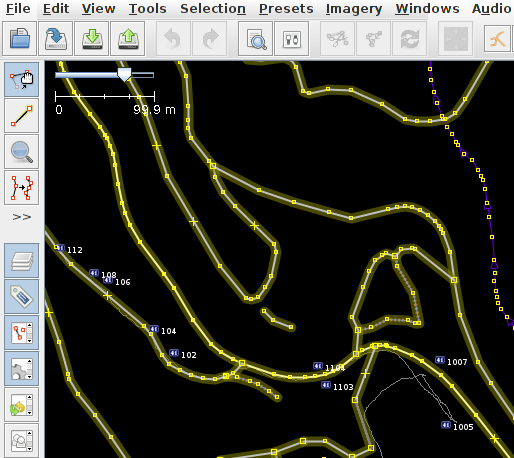 During our snowsports vacation I was pleased to find and use a snow map plugin for OsmAnd. It only had the lifts, but I recorded traces of all the Beech mountain slopes and some of the Sugar Mountain slopes, although I haven’t sat down to get most of those into OSM yet. While searching through F-Droid’s mapping and geography applications, I found Keypad Mapper 3. 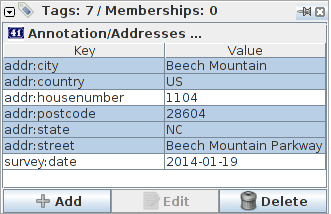 House numbers are one of the most noticeably missing features on OpenStreetMap in the United States (and New Zealand when we were there in 2012), and Keypad Mapper makes it easy to add them in. Once the data is collected I’ve had to email it to myself, which while lame, works. I open the GPX and OSM files from Keypad Mapper up in JOSM and download the full map for the same area (automatically selected). Tags can be copied with control+c and pasted into another node with control+shift+v.